Apple was recently challenged for its claim the iPhone 4 was the ‘world’s thinnest smartphone’, compared to rival Samsung’s Galaxy S II. Apple ended up winning that battle, according to the Guardian. 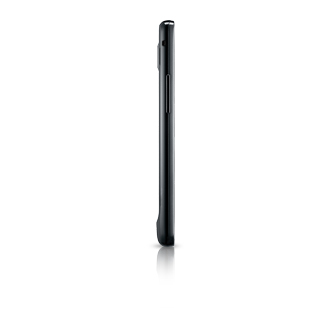 To help judge the exact title for the thinnest smartphone, in stepped the UK’s Advertising Standards Authority (ASA). What is the role of the ASA? The ASA is the UK’s independent regulator of advertising across all media, including marketing on websites. We work to ensure ads are legal, decent, honest and truthful by applying the Advertising Codes. It makes sense to compare the thickest parts of both phones to boast which phone would be the thinnest. If thinness was measured by the slimmest parts, a manufacture could just create an extreme tapered design (think MacBook Air) and call it the thinnest smartphone ever. What do you think? 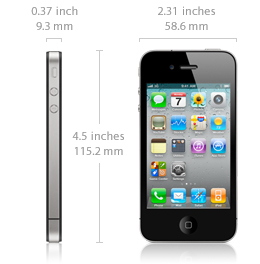 The rumoured iPhone 5 is allegedly thinner and wider than the existing iPhone 4, which remains Canada’s most popular cellphone.